Across the Sporades Islands and the northern Cyclades, on the Eastern Aegean near the Turkish coast, lie Samos, Ikaria, Agathonissi, Chios and on the north Lesvos and Limnos. These, mostly big, islands attract the visitor for their green scenery, ancient sites and the numerous bays with safe anchorages. 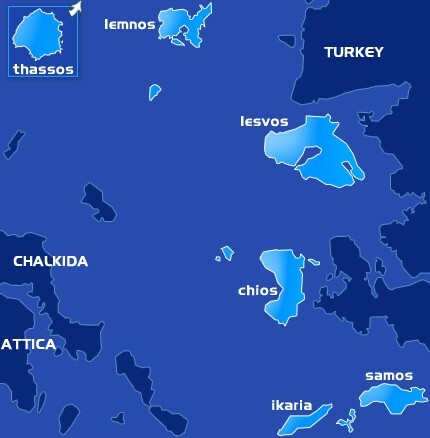 Among them Samos and Lesvos are connected with several European airport. This area offers ideal sailing conditions, with moderate winds and many alternative itineraries to follow starting from Samos, southerly to the Dodecanese or westerly to the Cyclades.